MyRepository is a freeware solution designed for managing and sharing photo albums, documents, video albums and other files, powered by integrated Web server. You don't need to install and configure any database. All data are stored in Repository folder on MyRepository server. 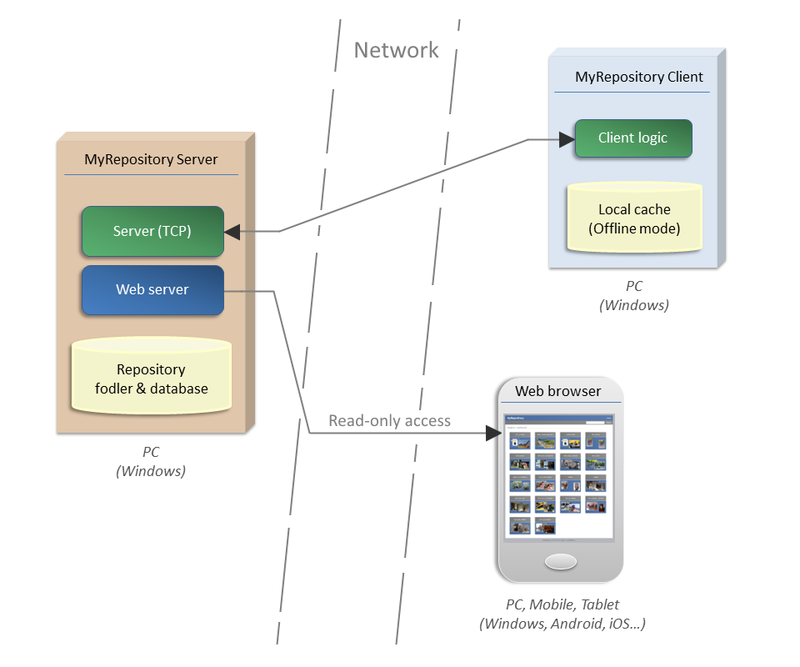 MyRepository client provides the ability to cache data that are used in offline mode, when client has no connectivity. The solution also provides indexing of documents content and full-text search. In the future you can extend functionality of MyRepository by making your own client/server plugins. You can share your photos, docs, video or other files with as many or as few people as you like and you can set which user may view/insert/edit/delete them. Thanks to the built-in Web server you can access your files and documents on any computer and device by simply logging in to MyRepository from Web browser.